Create a branded digital ecosystem, then launch and promote a new product in the meeting productivity software category. Working with the Meeteor team, we dove into the competitive landscape of meeting productivity tools, and studied the competition on a positioning grid. Highlighting a unique selling proposition and brand tone, feel, and personality, the Meeteor brand came to life. 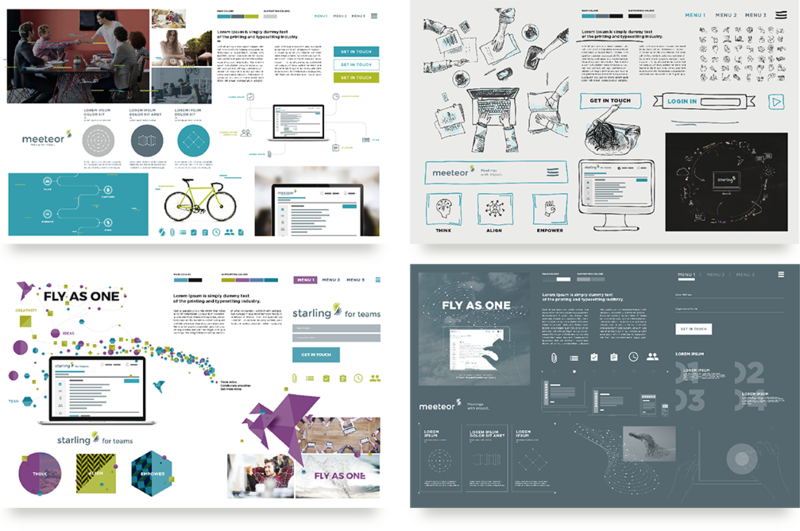 Targeted personas helped customedialabs visualize the Meeteor user. Beautiful light and a muted palette gave the brand a hip, and airy tone. Eye contact with the models draws the viewer in to their successful world. Clean, crisp, efficient iconography complimented and balanced the warmth of photography and mimicked the simplicity of the Meeteor interface. 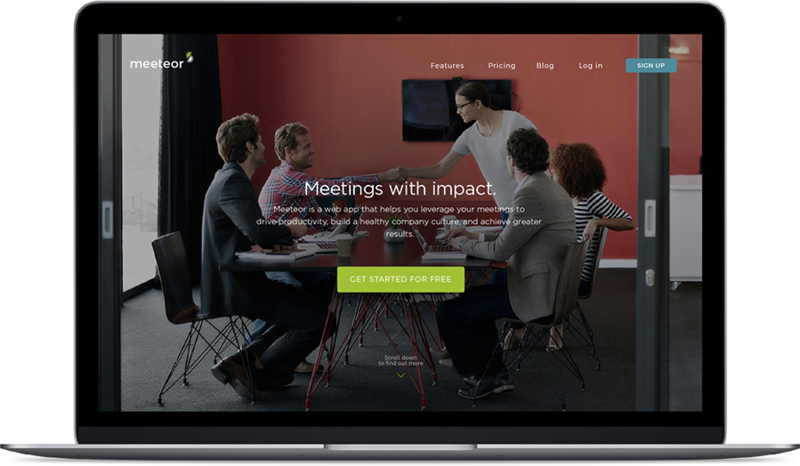 User-centered design and navigation matches the forward-thinking, practical brand, guiding users intuitively through the Meeteor experience. 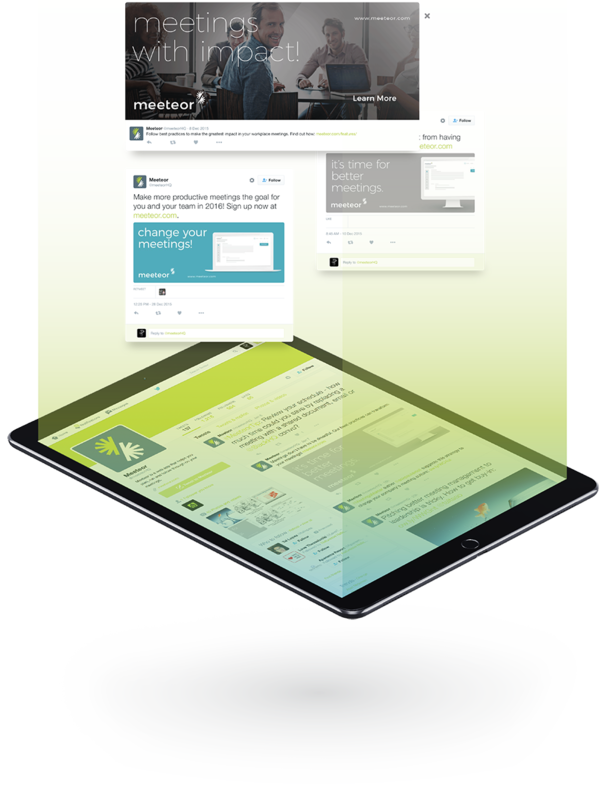 Responsive design makes Meeteor device agnostic, serving up a satisfying and productive user journey on desktop, tablet or mobile. Meeteor took full advantage of cross-channel social media platforms, each one building on the other. Pushing blog posts on Twitter, Facebook, and LinkedIn, and re-targeting website visitors with banner ads fostered organic conversation in real time with real people as well as attracting influencers to help champion the brand. 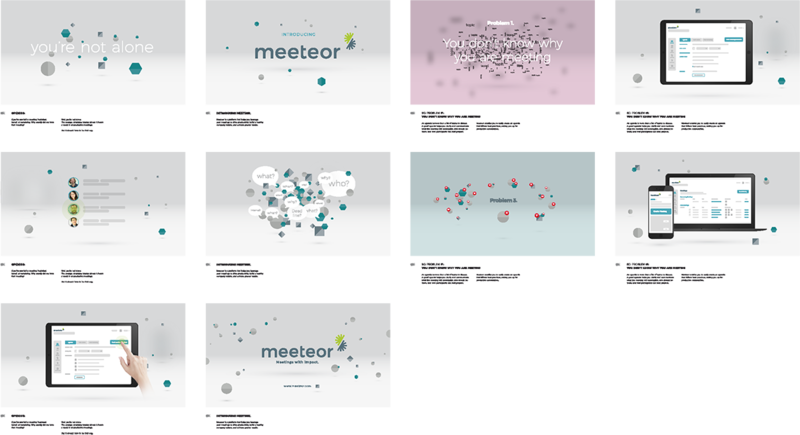 A branded, animated video provided a perfect platform to showcase why the user needs Meeteor, how it works, and why it stands out in a crowded category. customedialabs motion graphics team beautifully captured the essence of the brand in visuals, content, voice over and audio tracks.